The Panama Papers, a recently released collection of over 11 million leaked documents, has revealed that top politicians worldwide are connected with potentially shady offshore business deals. 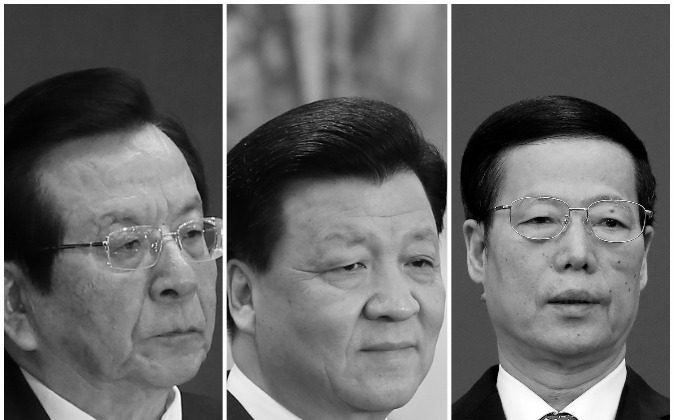 Included in the long list of world leaders are the names of several powerful Chinese Communist Party elites. According to a report by the International Consortium of Investigative Journalists (ICIJ) on April 6, Chinese leader Xi Jinping, Politburo Standing Committee members Liu Yunshan and Zhang Gaoli, former China vice chairman Zeng Qinghong, and a handful of others all have relatives that acquired offshore companies through Mossack Fonseca, a law firm in Panama that helps set up offshore shell companies for would-be customers. ICIJ is one of several media outlets that scrutinized leaked documents from the Panamanian company in 2015. Deng Jiagui, the brother-in-law of Xi Jinping, had three companies registered under his name—Supreme Victory Enterprises Ltd., Best Effect Enterprises Ltd., and Wealth Ming International Ltd.
Supreme Victory was dissolved in 2007, and the other two companies had become dormant by 2012, when Xi became Party chief. It appears that Deng’s decision to relinquish his overseas assets was motivated by political considerations, and is consistent with a similar move involving the largest real estate developer in China. During a speech at Harvard University last October, Wang Jianlin, the chairman of Dalian Wanda Group, said that the Deng family used to own shares with his company for six years, but sold them before the company went public and missed the chance to accrue a windfall. This accords with reports that circulated in the overseas Chinese press saying that when he was in line to be promoted to the leadership, Xi called his family members together and told them to get out of business—perhaps as a way of insulating himself from the political blowback that has come to those found to have family members who benefited from corruption. The relatives of Liu, Zhang, and Zeng kept their offshore assets while they were holding top office. For instance, Jia Liqing, the daughter-in-law of Party propaganda chief Liu Yunshan, is a shareholder and director of Ultra Time Investment, a shell company incorporated in the British Virgin Islands in 2009. Jia’s father, Jia Chunwang, had worked in the security and legal departments for two decades in several top positions—head of the Ministry of State Security from 1985 to 1998; head of the Ministry of Public Security from 1998 to 2002; and procurator-general, a post equivalent to Attorney General in the United States, from 2003 to 2008. Lee Shing Put, the son-in-law of vice premier Zhang Gaoli, is a shareholder of three companies incorporated in the British Virgin Islands—Zennon Capital Management, Sino Reliance Networks Corporation, and Glory Top Investments Ltd.
And Zeng Qinghuai, the younger brother of Zeng Qinghong, was the director of China Cultural Exchange Association, a company first formed in Niue and then re-domiciled in Samosa in 2006.